The superhero population seems to grow on a yearly basis, but one name remains an icon. Superman is the quintessential superhero with a legion of devoted fans. Even casual and non-fans know his story and the relevance of his legacy. Based on this intense following, it should come as no surprise that a diverse and valuable Superman collectibles market exists. Of course, there are obvious items like comic books and action figures. But there are also many unique and unexpected Superman collectibles that carry the unmistakable logo. Whatever your collecting interests, it is safe to assume that you can find a Superman version. The following encompasses some of the best options for collectors to pursue, breaking them down into different categories. This large variety allows collectors of any budget to celebrate their Superman fandom. The Superman we all know was born on the pages of a comic book. 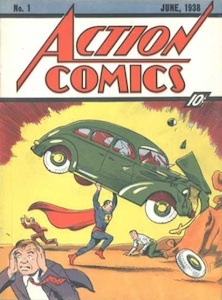 The historic 1938 Action Comics #1, brought Superman to the world. Although most collectors cannot even imagine owning one of these rare comics, where prices can run into the millions of dollars, there are plenty of budget-friendly Superman comics available. Obviously, the highest values are reserved for the earlier Superman comics, but current spin-offs and reboots have created a whole new generation of Superman collectors. And don't worry about missing out on the early days of Superman. 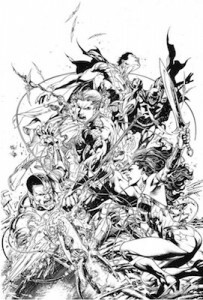 Digital comics are available on many platforms, including iTunes and Android, and offer nearly every comic in the Superman lineup for as little as a dollar per comic. Comic books are generally grouped by eras, although the exact years are still debated. The early days of comics were dubbed the Platinum Age. 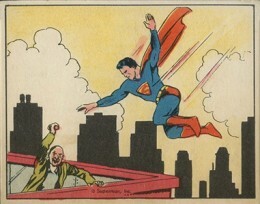 The first Superman comics debuted in the Golden Age, which ran from 1938 until the mid-1950s. This was followed by the Silver Age (mid-1950s to around 1970), the Copper Age (early-1970s to early-1990s) and the Modern Age (early-1990s to present). Superman trading cards date back to 1940 and run all the way up until today. They cover everything from the early comics, the George Reeves TV show, the Superman movies starring Christopher Reeve and key events in the modern comics. 2013 Cryptozoic Superman: The Legend came out shortly before the release of the Man of Steel. 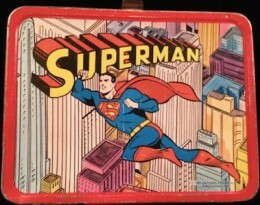 Besides sets dedicated to just Superman, he also appears in many DC Comics trading card sets. For more detail on Superman trading cards, check out our comprehensive guide. They are not dolls. They are action figures. Despite this long-running battle of semantics, Superman action figures remain popular. While the increasing values caught the attention of adult collectors, the toy aspect of action figures helped lay the foundation for collectors before they could appreciate comic books or trading cards. The earliest editions were available soon after Superman first emerged. These wooden action figures from Ideal are among the most valuable releases. The Christopher Reeve 1979 edition from Madelman is also very popular. Thanks to the magic of branding, Superman action figures continue to arrive regularly, often connected with DC's larger Justice League line. Superman statues cover a wide range of sizes and detail. The most popular and valuable are limited edition versions, as well as life-size versions, that reach as high as seven feet and weigh nearly 100 pounds. Although they are a newer option for collectors, the tangible aspect and attention to detail is what really sets them apart from many other Superman collectibles. Despite a few movies and TV shows that failed to live up to the Superman name, practically any actor that dons the cape joins an exclusive group for collectors and guarantees themselves a bigger long-term relevance. One convenient option for both storage and cost is collecting signed Superman photos. While several names may immediately jump out, the person who remains synonymous with Superman, is Christopher Reeve. The now-deceased actor appeared as Superman during movies in the 1970s and 80s. Several TV shows and big-budget movies have been released since then, but none could match up with the Reeve editions. However, the newest Superman movie, Man of Steel, has proven to be very popular with both fans and critics. This has resulted in extreme spike in interest for Henry Cavill, the current Superman. Like action figures, Superman lunch boxes are generally associated with children. However, rising values have lead to adults coveting these old lunchtime accessories. This niche item has developed a strong following of collectors. Current versions can normally be found at your local Target or Wal-Mart, but the most valuable Superman lunch boxes are the metal versions from 1954 and 1967. There is also a matching thermos for both lunchboxes, which can further enhance the value. Another staple of retail stores, Superman-themed clothing and costumes have long been popular with children. 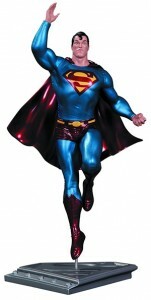 Not just reserved for Halloween, fans of Superman can literally dress themselves from head to toe in Superman gear. This includes wristwatches, jewelry and underwear. There is also a direct relation to the sporting world. Top basketball players, Dwight Howard and Shaquille O'Neil, have both shown a fondness for the Superman logo, and have argued about who most-deserves the Superman moniker. Even football star, Robert Griffin III, has gotten in on the action with Superman socks. cans have all received the Superman treatment. There are also coffee cups, glasses, bowls, and plates. Plus, Superman remains a popular toy option for kid offerings at McDonald's, Burger King and other fast food franchises. Despite all the varieties covered, there are still plenty of Superman collectibles left that could easily help you out in your daily life. Maybe your kids would brush their teeth more often if you got them a Superman toothbrush. 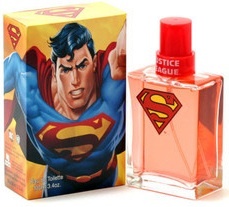 Or maybe you will have better luck with the ladies if you use some Superman cologne. Perhaps your car will look faster with some Superman logos. Even pets can join in on the fun. Whatever you need, Superman is there to provide a helping hand. Hi I have an oddball superman billboard, that seems like its from the 40s-50s, featuring superman that I’m trying to place. He is in the middle of changing into his costume and to his right there is in bold black letters “amaze your friends” with “quote Newsweek” under that. Any info on it would be very helpful! If you need any pictures or additional information, my gmail is rivera.dan88. Thanks in advance! I have 2 books by Elliot S. Maggin and both are autographed by Elliot S Maggin. Superman: Miracle Monday, paperback, 1981, Possibly a first printing edition, autographed in person in 2011. Any idea on the possible value of these books? I have been unable to find ANY info on the value of Elliot S Maggin’s autographed books! Hi, I have a Clicks Worldwide, LLC Leather Cuff Superman watch that I have been researching for ages and cannot come up with a watch even close to it. Even researching the company has come up relatively fruitless as it appears the company has been defunct due to a couple of lawsuits a while back over their more kid-friendly watches (with cloth bands) having dangerous chemicals in them. A local auctioneer pegs it to be between 20-25 years old. There was a Superman collector on Long Island 30 years ago that had it all. Do you know of him or what happened to his collection? I have a night light, round disk with image about 2 1/2 inches across marked DC Comics 1978. What’s that worth? It works. Hi i got a superman Supergirl limeted edition picture. Its 1 original picture of superman and one of Supergirl. In between its a number 118 of / 500.
there also is 2 pieces of negatives from superman movie 1978 and from Supergirl 1984. Do i have The real thing here? Mail me and help me out with questions please. I have a 10 ft Shoulder span 4 ft. stuffed superman with cape That was a display piece for smaller stuffed superman. I cannot find the value if anyone could help or sent me in the right direction. I’m in need of some help with any information on Superman poster art. There are 5 altogether in black in white, they look as if they were for comic book covers. They’ve never been colored in, still original. Your site is the first one I’ve come across with any indication of what I have. Any assistance with value where or who might be interested will be greatly appreciated.